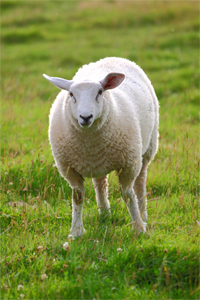 Wool has been a trusted fiber since ancient times. Wool breathes. It’s cool in summer, warm in winter. Wool fends off dust mites like a hero. Wool absorbs moisture from the air, keeping the humidity level low - just what dust mites don't like. Wool tackles microbes and bacteria. Germs don’t stand a chance. Wool is good for the environment. It’s renewable and biodegradable. Our wool is processed using biodegradable soap and no harsh chemicals. Wool is the clean freak’s friend. It resists dirt and is easy to clean. Wool lasts a long, long time. With proper care, wool can last for generations.